A century ago, Mitsubishi built Japan’s first ever mass produced car, the 1917 Model A. 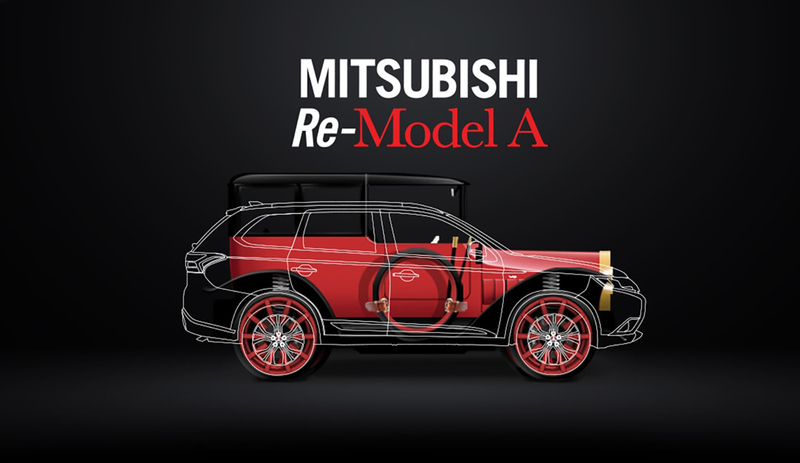 All Model A vehicles were destroyed in the war, so for the brand's 100th anniversary we came to Mitsubishi with the idea to reintroduce the car that started it all. 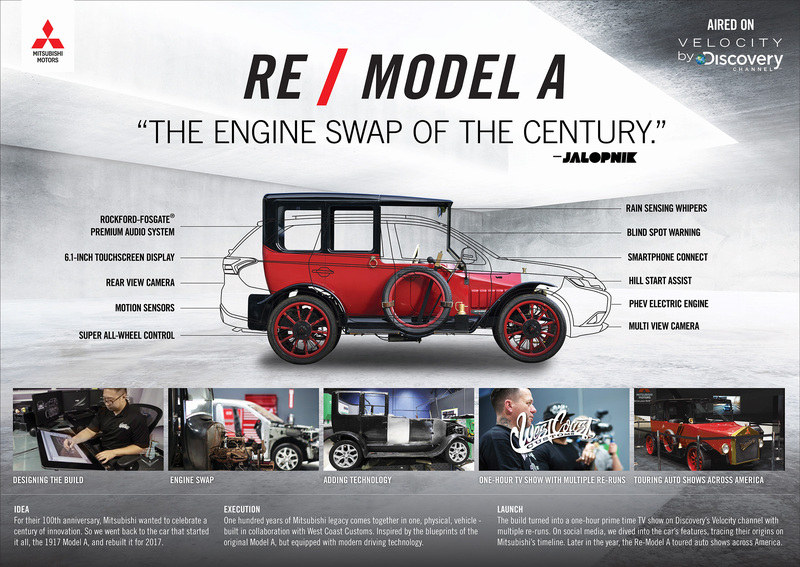 But with a twist: Our "Re-Model A" project imagines what Japan's first ever car would have looked like if it had been designed today, adding 100 years of technology to the original blueprints. This project has been unusual in that we have not only created a campaign, but actually built a car - in collaboration with West Coast Customs in Burbank, LA. The was launched as a 50 minute TV show, airing on Discovery's Velocity Channel in fall 2017.